But I was duly rewarded when our photographer posted a few of the detail shots last night! Beautiful!! Cant wait to see more. 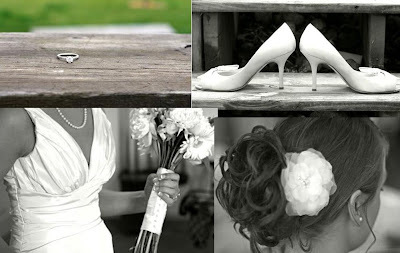 I have a white flower similar for my wedding and that is exactly how I want my hair to look!! Good choice. PS...where was your wedding? I live in Chicago. Just curious. Lovely. I like that "cards" is spelled out in yarn on the card box. Oh! BEAUTIFUL! What a gorgeous bride...your dress turned out so lovely! Love the centerpieces! And love the card box! 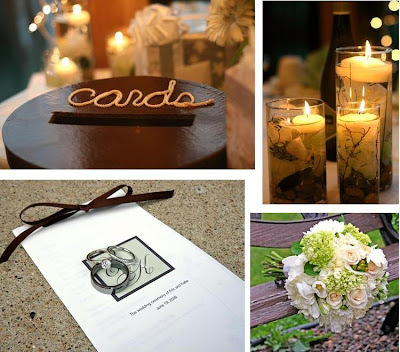 Ok, so I just loved everything about your wedding! Can't wait for more pictures! my wedding was in the southwest suburbs. (Orland Park) I don't live in the city.